Zn1−x Ni x O precursor solutions with a different ratio (x=0.01–0.03) were prepared by sol–gel synthesis using Zn and Ni based alkoxide. Reel-to-reel sol-dip coating method was used to grow Zn1−x Ni x O films. Zn1−x Ni x O powders and films, annealed at various temperatures, were tried to observe the doping ratio and temperature effects on magnetic and microstructure properties. The surface morphologies of all samples were characterized by ESEM and EDS. The crystal structures of the ZnNiO powders were characterized using 2θ–θ x-ray diffraction (XRD). The alterations of the lattice parameters have been obtained by the TREOR program. ESR spectra of Zn1−x Ni x O powder samples were collected at room temperature. 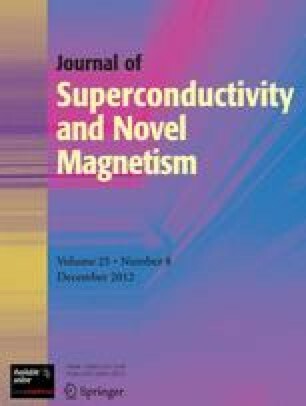 The magnetization and microstructure of the powders and films with different dopant ratios, temperature, and the time of annealing process are presented.